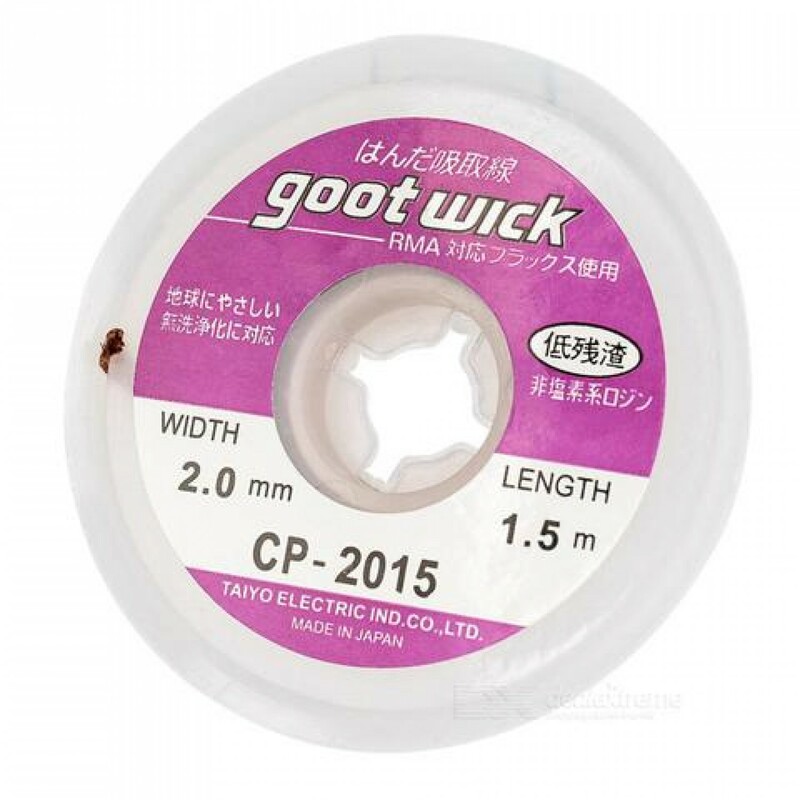 Goot wick soldering remover features high quality desoldering braid with unique design, compact ,easy to carry, easy to use. Flux amount is adequate, works well. Temperature doesn't need to be very high at all while work.